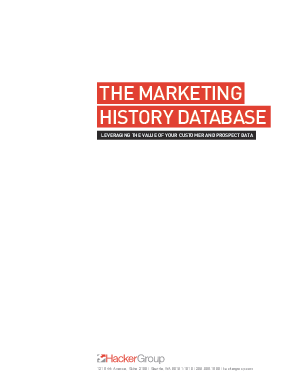 White Paper Published By: Hacker Group, Inc.
A Marketing History Database gives marketers the data they need to refine their targeting. With each campaign, market segmentation can grow in sophistication. The value of customer and prospect data is enormous. A Marketing History Database is an important way for businesses to leverage that value.